Bitcoins are the first wildly popular internet currency. If you are on the Internet regularly, you have no doubt heard about this hot new currency called Bitcoin. But you might not understand what makes Bitcoin so interesting and why everyone from Paul Krugman to Alan Greenspan to Fred Wilson are getting involved. Bitcoins are a form of currency created by a group of software developers (who use the pseudonym Satoshi Nakamoto) that allow people to purchase and sell goods using Bitcoins instead of other forms of currency. Unlike standard currency (the dollar, the euro, the yen), Bitcoins are not issued or backed by any nation state, but instead, are created by the Bitcoin network–an international network of Bitcoiners that are connected only by the Internet and a shared interest in this new form of currency. That means that there is no central regulatory authority, no Federal Reserve printing Bitcoins on a specific schedule, and, since Bitcoin transactions are peer-to-peer, you don’t have to go through a financial institution (like a bank, Visa or Mastercard) to process the transaction. Instead, Bitcoins are transferred from one Bitcoiner to another via the Bitcoin transfer protocol. The benefits of this for consumers are many: lower fees, ease of transaction, Bitcoins can be used anywhere in the world, and more. That said, Bitcoins have a little bit of a bad rep because the lack of regulatory oversight and relative anonymity of the Bitcoin transfer protocol makes it easier to launder money through Bitcoins and purchase illicit or illegal material (mostly drugs). Recent press coverage and surge of interest in Bitcoins has pushed the price up substantially; Bitcoins were trading in the $20 range in January and are now trading at $129, meaning that in the past few months, at least, people who invested in Bitcoins have seen outrageous returns. The problem with Bitcoins is that since they aren’t backed by a nation state and unlike commodities like gold or coffee, they don’t have any intrinsic value outside of their ability to purchase goods. Thus, their value is only in what you can buy with them, but right now, you can’t buy much. Of course, this issue may only be a matter of time. Companies like Coinbase are hard at work trying to make it easy for online and offline retailers of all types to accept Bitcoins. 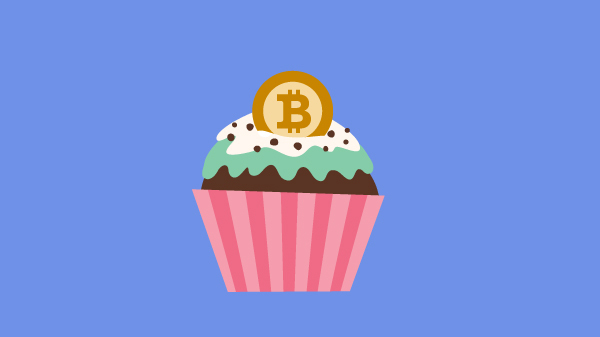 And hey, if all else fails, you can buy yourself a boatload of cupcakes at this Bitcoin accepting cupcake shop in San Francisco. deposits at any time. All transactions are handled via Liberty Reserve USD. We work 7 days per week.